Hear Reflections from March of the Living | United Jewish Federation of Greater Stamford, New Canaan and Darien, Inc.
WE ARE BACK! 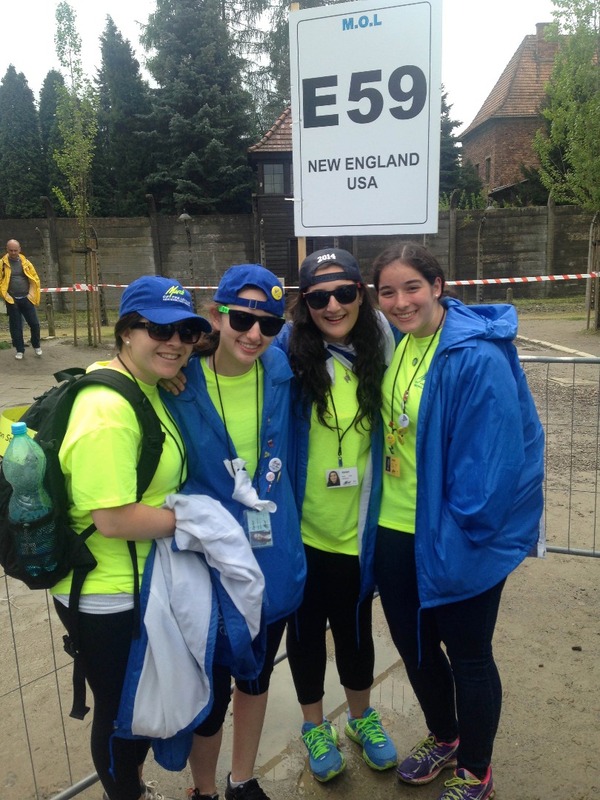 Jenna Plotzky, Keren Rubin, Rachel Steinmetz and Danielle Alexander are back from an extraordinary, unforgettable 2-week experience participating in the March of the Living. Joining thousands of teens from over 40 countries, New England area teens commemorated Holocaust Remembrance Day (Yom HaShoah) in Poland marching from Auschwitz to Birkenau. Traveling to Israel, they observed Israel’s Remembrance Day for Fallen Soldiers (Yom HaZikaron) and celebrated Israel’s Independence Day (Yom HaAtzmaut), experiencing the joy and significance of Israel’s independence. They are so excited to share their experiences with you during the second hour of Kulanu at the JCC this Wednesday Night, May 14 from 8:10-9pm!